This is one of my favorite photos for this week. Love the detail, vivid colors and that you captured the spider’s web. Beautiful capture!! I’m blushing. I didn’t see the spider’s web while shooting… My eye needs more practise. Thank you ! Had to show my boy (just turned 8). Fabulous colors and details. Ow thank you Diana ! I’m red now. Have a great sunday ! I looked at it again and now I see the aphids the lady bug is eating. Wow! Eventually, two eyes are not enough. The camera is a good third one. 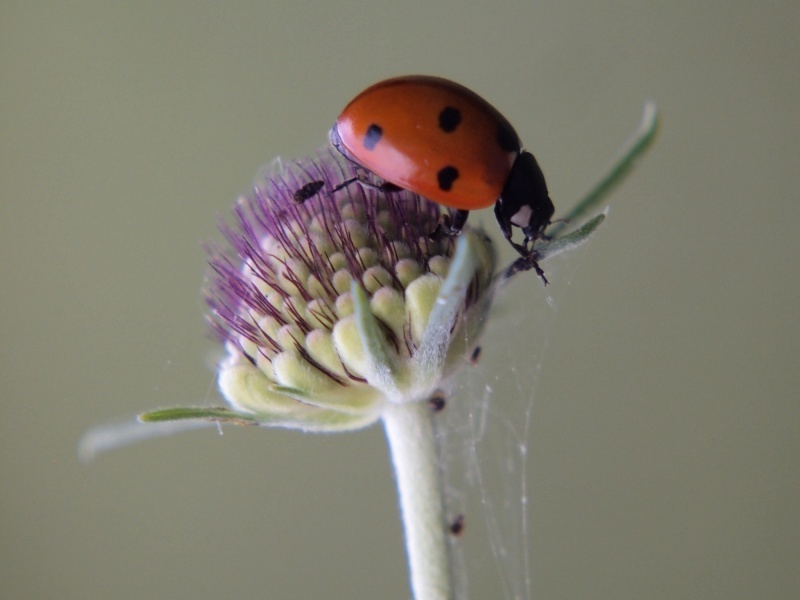 You made the ladybug look graceful! Amazing photography… Keep it up! Ow thank you Sarang ! If you knew… I take random photos and sometimes I’m lucky. Oh my god. Your blog is amazing ! Your random photos are a feast for the eyes! Thanks a lot Ada! Love your appreciation!